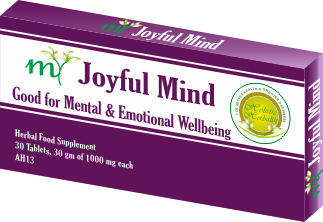 Welcome to Ayurveda based Herbal Supplements, Personal Care Products & Holistic Wellness Mentoring! I, Dr. Vikram Aditya Tomar, founder and director of Holistic Herbalist & Ayurveda Mentor, congratulate you for visiting here and for your interest to adopt Ayurveda based holistic and natural wellbeing. 1 - I am doubtful and little bit skeptical about whether Herbs or Natural Products or Ayurveda is really safe and helpful! I invite you to learn over email during next 2-4 weeks about Ayurveda, herbs, holistic and natural wellbeing that will educate you and provide unbiased information in all the above field. Above all, I will respond to your personal query and do my best to reply you. One more promise, during this time, you will never receive anything from us that will sell you anything. You can unsubscribe to these emails any time. Let us Start with Educating, Making Well Informed Choice about Ayurveda & Herbs! Over few weeks, I will be sending you emails that will help you get over your objections, query and skepticism and you will get the insights and inspiration and motivation to make unbiased and well informed choice about herbs. Your email and privacy is totally safe with us. You can discontinue and unsubscribe any time you wish. 2 - I know about herbs and Ayurveda but I want to be sure that You or Holistic Herbalist or its products are services are really from worthwhile, trustworthy and expert source with one of the best quality! 3 - I am already healthy person and would like to use Herbs / Ayurvedic natural products to boost health, immunity, energy, vitality and prevention that are safe and effective for me and my family! 4 - I am prone to and susceptible to certain health issues due to age, work, location, climate, atmosphere etc. and I need help in a way of natural or herbal prevention! 5 -I have one or more chronic / lifestyle based health problem, I might be or might not be on medical drugs, but I need Ayurveda expert's advice or Ayurveda herbs for naturally dealing with the chronic health issue! 6 - I am a practitioner or student of herbal / natural / Ayurvedic / CAM / Modern Medicine system and interested in learning about and using Ayurveda, Ayurvedic herbs, natural products, Diet and Lifestyle for my clients. I do have been a student during graduation years of 1994-2001. Really speaking, as natural health care practitioner, we have to be a life long student. That is why at Holistic Herbalist and Ayurveda Mentor, we are taking care of both practitioners, students and would-be-practitioners. As a fellow Practitioner, I would be last to try to make a selling pitch. Although, I deeply desire to share the enthusiasm and passion that I had and nurtured in the great company of yours. I also collaborating for educating and informing therapists about Ayurveda and our products in countries where Holistic Herbalist is in exclusive partnership or business association. I have been in honorary and independent teaching positions for Ayurveda / Herbalism / Natural Health students in India, USA and EU over a period of almost 2 decades since 2001. I will deeply cherish and feel fulfilled when you would view our formulations and see their holistic foundation of Ayurveda, quality along with safety and efficacy. Apart from learning, discussion and collaboration resources, great discounts of Direct2Practitioner, You will find more information about Pracitioner's Club here..
7 - I have a herbal / natural supplement / Ayurvedic products store or Chain Stores and want to have Holistic Herbalist range of herbal / Ayurvedic products and personal care products in my store. 8 - I or my Organization is deeply passionate about holistic and natural wellbeing, have some experience in selling / distribution / practice / therapy and I want to join hands and start business by representing Holistic Herbalist / Ayurvedic Herbalist / Ayurveda Mentor / Ayur Library in my country with exclusive rights as business associate. You know that having this kind of business is also truly very fulfilling as you would be directly contributing toward better health and greater happiness. Again, from business point of view, natural health industry is growing year by year, without fail. And you will be partnering with Holistic Herbalist and Ayurveda Mentor, one of the best in the field with a diverse and holistic range of products and services and we will together endeavor to consistently raise the bar of quality, standards and service. You will be happy to Learn about Ayurveda Business Opportunity! Why and How Could I Help & Associate with You in all these dimensions? As you have gone through the above 8 points, you might have noticed the inside-out and holistic approach in everything we do. into Clinical practice and having clients in more than a dozen countries. Have been mentoring marvellous group of students all over the globe, with great practitioner programs and workshops. Founded Holistic Herbalist into provide great Ayurvedic herbs based natural products to clients. Developing and Growing Online Wellness Training so that holistic and lifestyle related point of Ayurveda wisdom could be put into Your Life. Started Online Ayurveda Library to promote the learning of Ayurveda based upon classical Ayurvedic texts. in the mind of a young Ayurveda doctor. And at Holistic Herbalist and Ayurveda Mentor, we are maintaining and have ingrained this spirit into the fabric of our thought, feelings, activities and life. This is the way for doing business or living life or contributing. In Holistic Herbalist and Ayurveda Mentor - You will find yourself in one of the most Trustworthy and Great Company that always strives for the Win (fortunately, it means your better health) of her Clients at the top through holistic and natural means. Presented in 60 Tablets box or bottle. Every formula = A balanced and synergistic recipe of Ayurveda's time tested safe and effective herbs. Trusted and Complying with USA, EU and Other Top Standards of Natural products. I have been an educator of Ayurveda for over 2 decades in United States, UK and Australia. I used supplements of Holistic Herbalist. These are simply superb and offer great health benefits. Right from the start, Holistic Herbalist has invested heavily - in terms of time of experts and money - into Online Wellness Training to help You Achieve Positive Wellbeing, Stay Away and Manage Health Issues by adopting the wisdom of Ayurveda and holistic lifestyle in a practical, insightful, interesting and motivated manner.